The IUBH School of Business and Management is one of Germany’s leading private universities. We prepare students for international careers in service management at three campuses: Bad Honnef, Bad Reichenhall and Berlin. The profile requirements of internationally employed managers have changed dramatically in recent years. The IUBH School of Business and Management has recognised this development as reflected in the future-oriented training it offers to interested young people as the first private, state-recognised university operating exclusively in the service sector. The IUBH School of Business and Management regularly receives top grades in university rankings. Recognized partners- and memberships guarantee the top quality of the university and our programs. 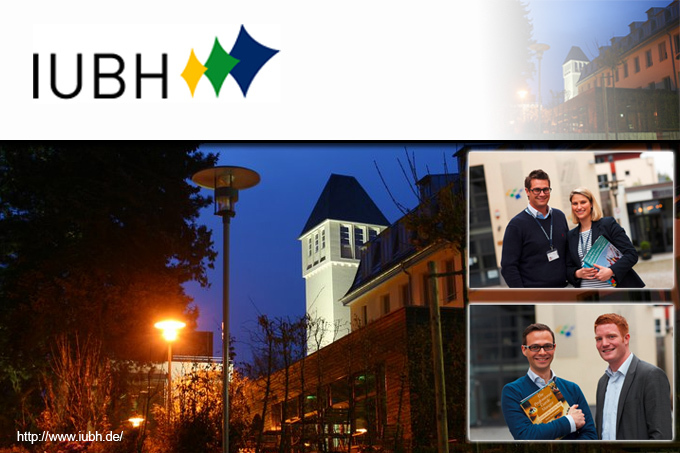 In the field of business administration the International University Bad Honnef-Bonn (IUBH) consistently ranks in the top group. In the CHE Ranking 2014 the IUBH achieved outstanding results and positioned itself in the field of business administration as Germany’s best private university of applied science with the most rankings in the top group. The German Council of Science and Humanities (Wissenschaftsrat) provides advice to the German Government on the structure and development of higher education and research. The council has granted us institutional accreditation for 10 years, the longest possible period. This is the best evaluation the council can award, and signifies that we provide services in teaching and research that meet established academic and scientific standards. The IUBH is dedicated to top quality in its teaching, student services and placement of students in well-paying jobs. On a global level, the IUBH is one of only 10 universities recognized by Hotel Schools of Distinction (formerly Leading Hotel Schools of the World), and has also proudly received recognition by the United Nations. On the national level, official institutions have paid tribute to the IUBH‘s quality by granting accreditation for 10 years. With our attractive Bachelor's degree courses we want to set new standards for the new generation of management. Our programmes are characterised by the effective transfer of subject-specific knowledge and soft skills in order to prepare our graduates for challenging management task. The IUBH School of Business and Management aims to create the best possible start for your professional career. We create an environment to help you thrive in your studies and beyond. The IUBH was the first German university to teach all courses in the English language – and set a new standard for international education offered in Germany. International students have the opportunity to study in English and improve their German during their studies.